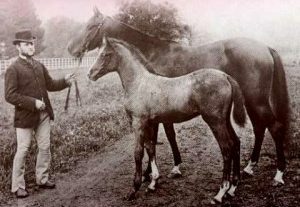 Editor’s Note from Georgia Cheer: Regrettably, I was unable to view Rachelle Newnham and Keith Barnes horses at Templars Stud as a foal had been ill and it was feared that I might possibly tread a germ onto another farm so it was decided for me not to visit. 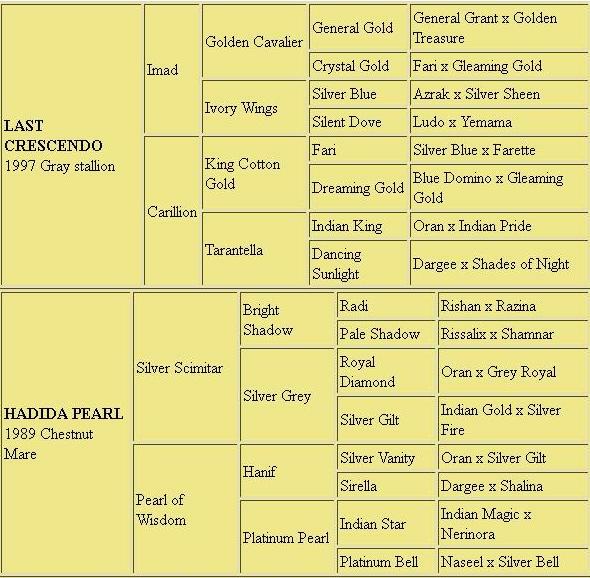 However, Rachelle had sent me this list of horses as of last summer 2000 and pedigrees which I have posted on the site. 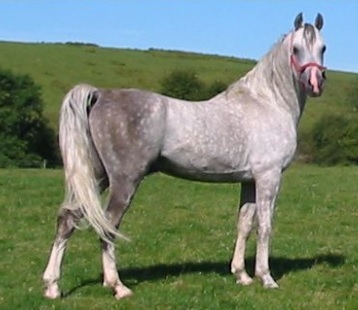 JE T’ADORE (Jetsetter x Romadi) flea bitten grey 1987 – my first Arab. She’s raced, hunted, shown ,etc. She’s lovely and very loved. She had her first foal (a lovely little filly) in the spring of 2000. It’s a part bred because she fell in love with our Cleveland Bay stallion and after 11 years of trying for a foal I decided to let nature take its course! We call the mare Sia (and the foal Treacle). HADIDA PEARL (Silver Scimitar x Pearls of Wisdom) chestnut 1989 she’s been backed in the spring of 2000 and is thoroughly enjoying herself. As I think I’ve said, they are pretty anti-Crabbet up here and we don’t get very far in in-hand show classes, so I’ve decided to show them just how good Crabbets really are! We call her Hapsy. Hapsy did well in-hand when we lived in the South. TEMPLARS MAGIC PEARL (Achim’s Silver Magic x Hadida Pearl) chestnut 1994 – quite a plain mare but she is the best mum in the world and throws lovely foals. I’ll have her backed this year then we’ll have mum and daughter under saddle. Pet name Mouse. 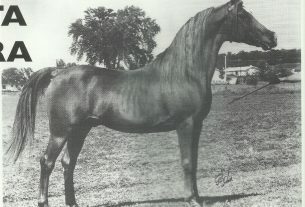 TEMPLARS CULTURED PEARL (Silvern Sceptre x Templars Magic Pearl) chestnut 1998 – no-one thinks she’s Crabbet because her head is so refined. And what a mover! She’s done really well in the in-hand show ring and is a lovely little lady with it. She just loves to be cuddled. We call her Molly. TEMPLARS ORCHESTRAL PEARL (Last Crescendo x Templars Magic Pearl) ‘Harley’ was born on 2nd June, 2000. He’s a big strong chap and unlike the rest of the family who are bright chestnut, he’s already going grey! Hope that gives you a sample of our little band of GSB.